Real Estate Leads Generation (Page 2) and Telemarketing Real Estate Lead Providers Directory. Database Systems Corp. (DSC) provides the technology and products that can improve the productivity of your real estate marketing and service departments. Our real estate marketing phone system and real estate telemarketing software can streamline your operation while providing controls and consistency in your organization. If you are a real estate lead provider , visit our web directory here for real estate information. The following is a list of organizations that according to their website descriptions provide real estate leads. Database Systems Corp. is not affiliated with any of these organizations nor does it promote or endorse the products and services of these companies. This is simply a list of websites of available real estate lead companies. REAL ESTATE AGENTS - Free Yourself from Prospecting! 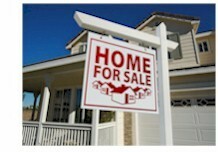 Join RealEstate.com, a service of LendingTree, LLC to receive cost-effective leads from motivated buyers and sellers. RealtyTracker provides fresh, self-generated real estate leads cheaper than you could generate yourself. We do the work for you and stand behind our service. Sign up now to see all the active real estate leads we have in your farm area. Never pay a referral fee. SarasotaFloridaUSA.com�s unique lead referral service provides precisely targeted and timely sales leads to help improve your marketing ROI, shorten your sales cycle and grow your real estate business. Whether you�re an independent real estate agent, a broker wanting to support your sales team, or a developer closing out a new project, we have fresh quote requests from ready-to-buy real estate buyers today. Steelhead Capital Commercial Mortgage offers a nationwide private banking advisory approach to managing your apartment financing. We provide several direct, highly competitive commercial real estate loan products for qualified properties with commercial mortgages up to $100 million plus. Steelhead Capital Commercial Mortgage offers loan products for commercial real estate loans nationwide. Commercial properties include: office, industrial, mini-storage, retail and hotels. As your commecial mortgage broker, Steelhead offers direct access to the most aggressive lending sources in the country. Real estate leads are the lifeblood of any successful real estate brokerage. So how do you reach the right on-the-go prospects for your offerings? Seekers of real estate proprieties and mortgages in your geographies of interest. Prospects for real estate purchases such as renters, families with kids, etc. or potential real estates investors such as high income families, very good credit families, seniors, etc. Our real estate phone listing systems and service can provide timely information about your property listings to prospective clients 24 hours a day. By listing a single 800 number and a property identification number, real estate agents can now provide prospective buyers with up to date information regarding their real estate listings. Callers can automatically obtain listing information that is kept current by listing agents online. To be contacted by a real estate broker, the caller simply presses the appropriate key and leaves a recorded message for a realtor. Likewise, the caller can request to talk with a real estate agent. Our phone service and systems can route the call to any different phone numbers based upon time of day or other business rules established by the broker. 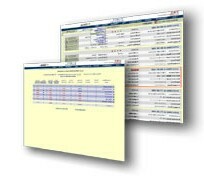 DSC has developed online real estate applications using TELEMATION, our contact management software application. This CRM software tool is ideally suited for processing real estate loans, tracking telemarketing real estate leads and managing customer information. This award winning application is employed in a wide variety of organizations including contact centers, help desks, customer service centers, service bureaus, reservation centers and corporate call centers. The package has extensive computer telephony features and is fully integrated with our marketing phone system. TELEMATION operates on Linux, Unix or Windows servers. real estate applications can be quickly developed using the robost features found in our real estate software toolkit. Mortgage loan companies such as Advanta Mortgage and Chase Manhattan Mortgage Corporation are just a few of the organizations who have relied upon TELEMATION to handle their data processing requirements. Contact DSC to learn more about our products that process real estate leads using our real estate auto dialer.